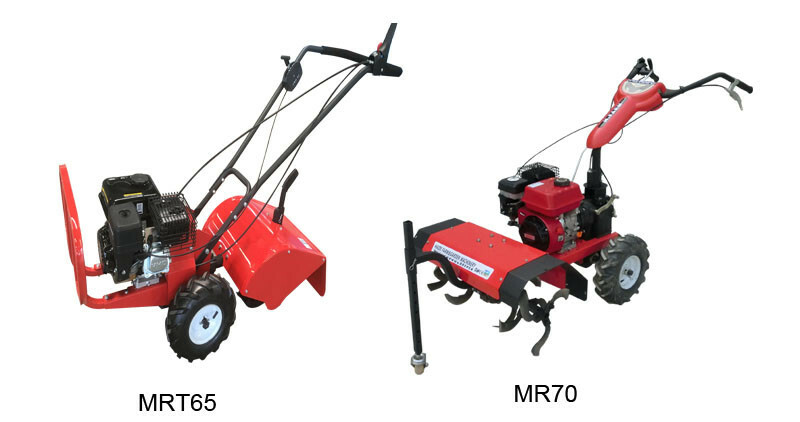 We have since 2001 achieved a long-term expenrience in manufacturing tillers and cultivators ranging from 2HP up to 10HP. One of the first Chinese companies that entered an OEM agreement to manufacture customized products to a major EU cultivator manufacturer. 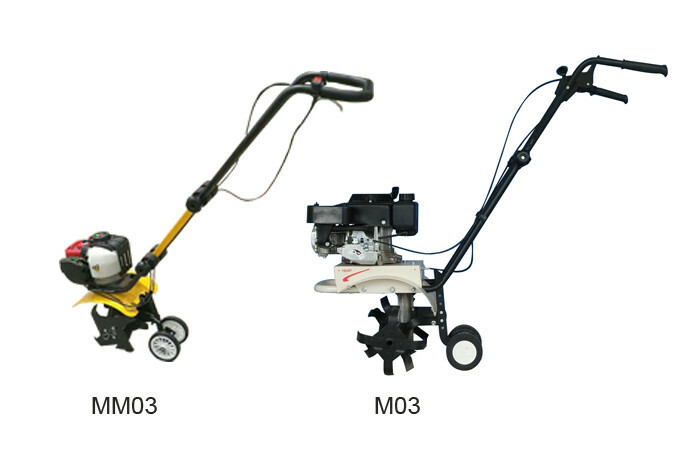 We have a long-term experience in manufacturing tillers and cultivators ranging from 2HP-10HP. SFM is one of the China's Golden Suppliers of Agricultural Machinery. All machine may choose B/S Engine, Loncin Engine, Robin Engine or Other Chinese Engine are available. -Easy to controls and operate clutch and gas lever. -Combined support and depth skid for easy transport. -Heat hardened blades with life time warranty against breakage. -Combined bumper and lifting device. 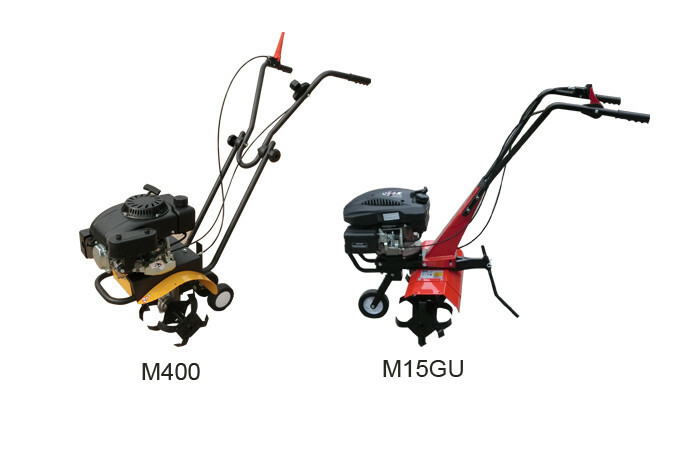 This line of machines ranging from 3.5HP-6.5HP, it's particularly suited for the small and medium size vegetable garden. All models have heat hardened bolted steel blades with lifetime warranty against breakage. Fixed and adjustable handlebar is available. -Easy height adjustment, compact under storage. -Gas throttle for easy operation. -Bumper to protect or easy to lift. -Bolted heat hardened steel blades with lifetime warranty against breakage. -Adjustable depth skid provides maximum comfort. S2-wheeled professional tractors, all-year and all-round machines for any demand. 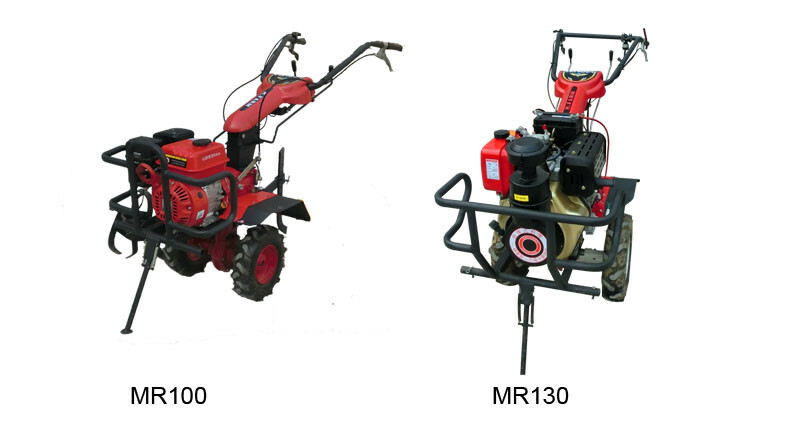 PRO600/900 can be equipped with accessories, such as snow thrower, sweeper, grass cutter without use of tooling. -180° turnable handlebar without tooling. -Heavy duty gearbox without belt. -Adjustale depth slid gives optional function. -Gasoline or Diesel engine are available. 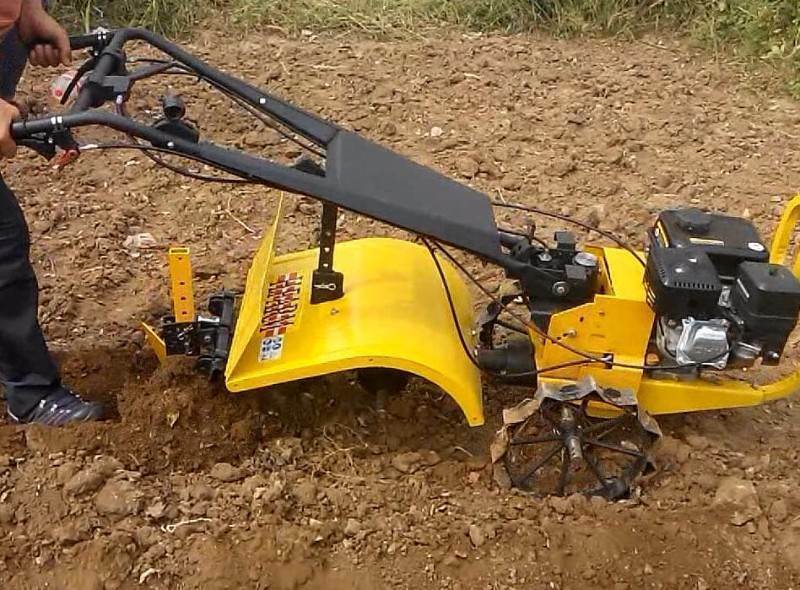 -Efficient fast rotating blades for perfect weeding and preparation of seedbed. -Quick height and side adjustment without tooling. -Can be fitted with up to 3 sets blades. -Easy adjustable depth skid for comfortable working. -Strong blade guard, bumper and clutch handles. 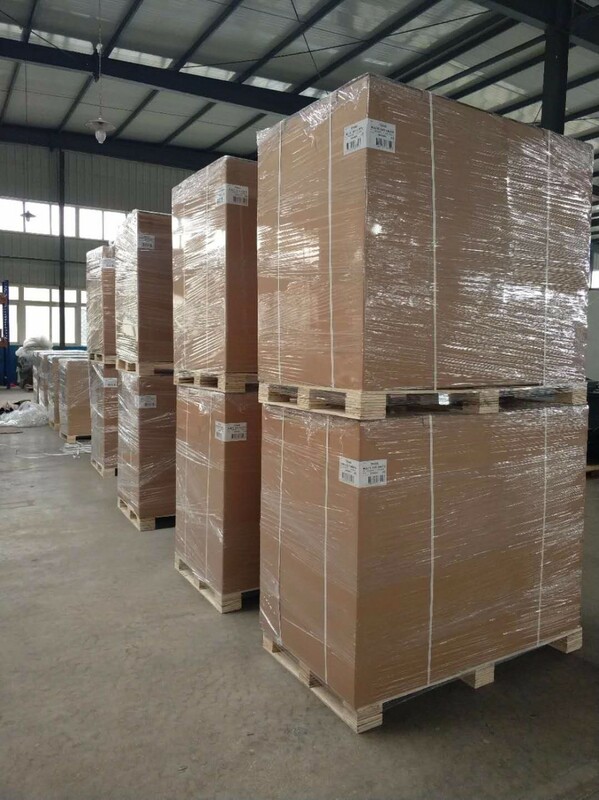 We will try to reduce shipping costs by reducing packing weight for customers as much as possible.The normal packing is carton (size: L *W* H). According to customer's special request. We will provide detailed product and transport related services before you buy. 1.Professionals technicians will be send to help you with installment & adjustment to make sure the machine use well as soon as possible. 2. After all, the machine warranty for one year, all accessories complete. After you purchase our products, we can provide the service at any time. The warranty period of the product is one year. 1. Buyers requirements: according to the users’ feedback, to analysis the reason of the problem, do right maintenance and the matched spare parts. 2.Developing a precaution system, making sure the troubleshoot be solved in first time. 3.If users are false or improper use, can call us directly, we will be pay a return visit in the first time, to give you the guide correctly. 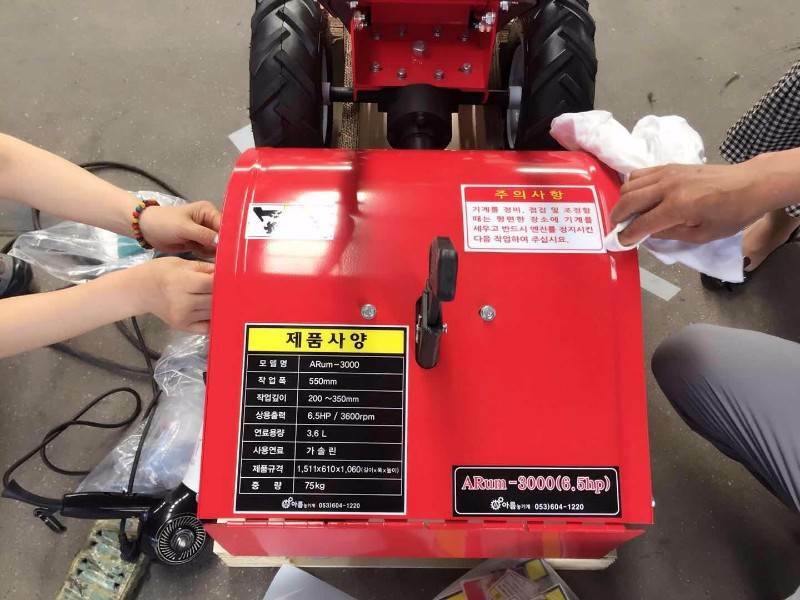 1. in order to protect the main part , the engine of the machine damaged, please be sure the lubricating oil and fuel is to fulfill the requirements of factory standards before using the machine every time. 2. in order to protect the key point part, the transmission case, please pay attention on the attrition of the blade . Go on adjusting them equally or to change it. 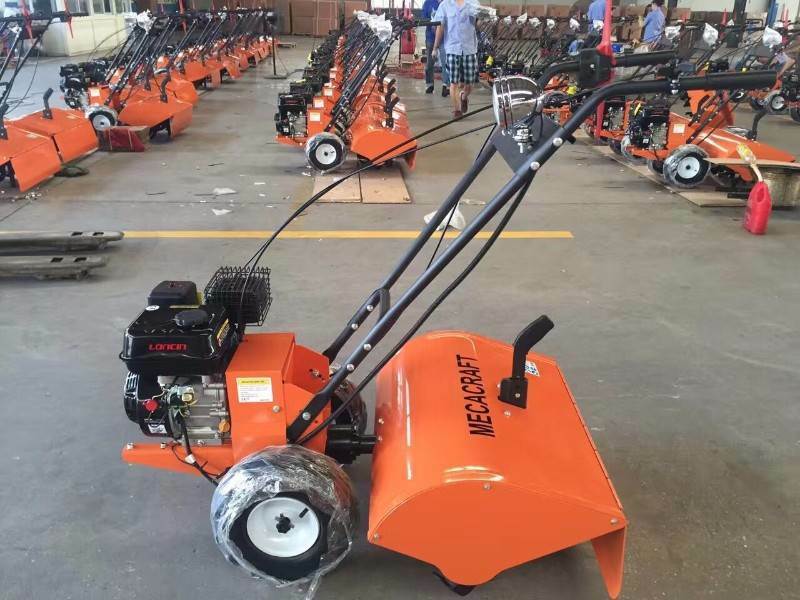 Six professional and automatic production lines in our workshop, which can guarantee the production of 5,000 sets garden tillers per month, and have strict QC quality inspectors, and supervise the production process of all items in 24 hours.